A man stabbed in a knife attack in Sheffield city centre is recovering in hospital. South Yorkshire Police said the man, aged in his 40s, was taken to hospital for treatment to a leg wound after the attack in Victoria Street, off Glossop Road, on Tuesday afternoon. Three men, aged 23, 27 and 34, were arrested over the attack, which happened just after 5pm. One of the suspects was wearing a stab vest and carrying spice and cash, according to the police. They were held yesterday on suspicion of wounding with intent to do grievous bodily harm. 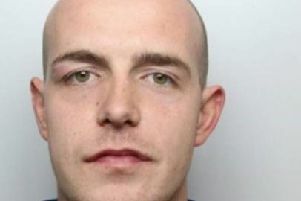 Sheffield man jailed for vicious assault which left victim with broken jaw.